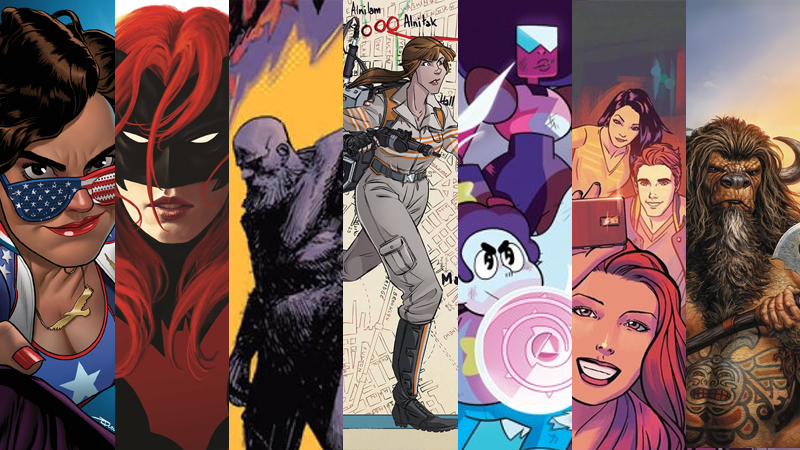 Last year was a brilliant one for comics, but now that’s all in the past. Let’s look to the future! Thankfully, that future is already teeming with great new comics just waiting to be read. Here’s the all the stuff we’re looking forward to coming our way in the next few months. Ghostbusters 1o1 #1—Returning to academia, the Ghostbusters naturally end up opening a rift in space and time that acts as a gateway to another universe... specifically, the universe of the 2016 Ghostbusters reboot! To see every comic on its way over the next few months, both ongoing and new, head on over to Previews World. What are you looking forward to the most? Let us know in the comments!